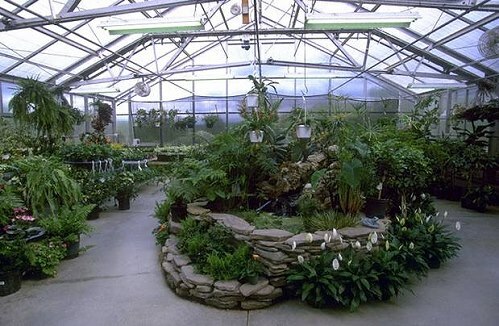 Plants grown indoors have the same requirements as plants grown outdoors. Here are some tips for indoor plant growing that will help to replicate those outside conditions. SOIL. Please don't ever use garden dirt. Use good quality potting soil with organic fertilizer mixed in. If the soil is very fine, add up to 30 percent more perlite. Indoor herbs need excellent drainage to avoid winter rot. CONTAINERS. Go from a three inch herb pot to a gallon size pot unless you know the plant is a rampant grower (like Lemon Grass) and then a 2 gallon pot is preferred. Don't do anything to the roots of the herb plant and be very careful not to damage the herb's stem. A perennial herb has to be really old (or really root bound) to need its roots pruned and, even then it is, in most cases, better to just repot and leave the roots alone. Forget about the rocks on the bottom of the pot. This is a myth and it just takes valuable growing space away from the plant's roots. Only put one kind of herb plant in a pot. If you feel you must combine plants, don't leave oreganos, mints, lemon balm or bee balm with other plants for very long. They will overgrow everything. If you pot separately, each plant can be given air space around it and if one herb plant has a problem it is easy to remove it and keep it from affecting the other indoor plants. LIGHT. Just like outside, plants need at least six hours of sun a day. If your sunny window doesn't fill that requirement, then you may want to purchase some regular fluorescent lights. These shop lights need to hang no more than three inches above the plants and stay on for 14 hours a day. If you are trying to grow seedlings, put the lights an inch or less away from the new plants. And like outdoors if your window is too hot in the summer, lower the shades in the afternoon to prevent scorching. If your window freezes in the winter, keep the foliage of the plant away from the glass. WATER. Water thoroughly when the plant is dry. Err on the side of dryness without letting the plant wilt. An inexpensive water meter is invaluable if you have doubts about when to water your indoor plants. Make sure the water is not too frigid or too hot. Fill your watering can and let it sit for a while to become room temperature. TEMPERATURE. The hardest of all indoor requirements to moderate. Ideally it would be 70 or 75 during the day and 55 or 60 at night. Do your best to keep the temperature close to this for maximum survival and growth. FERTILIZER. If you put some in when you repotted, your plant should be happy until spring. When it starts to grow vigorously, add a little organic liquid fertilizer to the water. PLAN. If you think you want to do some indoor herb growing, don't wait until winter to get started. Start the plants going in their containers in late summer or early fall and prepare them for the months ahead by letting them settle in during pleasant conditions.